I was walking around the Esplanade Garden and saw this boat anchored at the Signapore River. 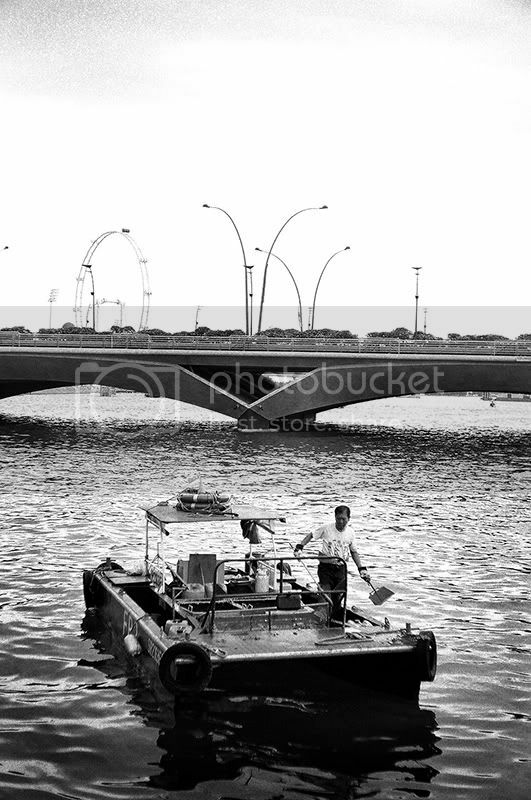 The man was using the sea water to clean up his boat. It's unlike those tourist boat, which in fact its purpose is to pick up trashes found on the river. Somehow there are always rubbish dumped into the river and eveyrwhere, of cuz by inconsiderate people, be it locals or foreigners. It's really good to live in a healthy and clean environment, but it's so often been taken for granted by every single being living in this small country. Sad but true.